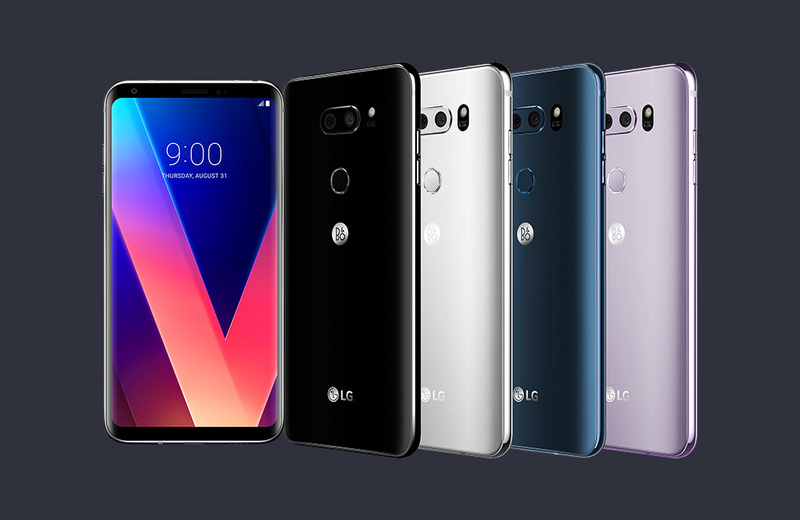 The LG V30 is now official! Yessir, IFA 2017 is here and LG kicked things off in a big way by introducing us to the latest in its V-series line of phones. While this is a follow-up to last year’s LG V20, it’s very much a refined beast that is almost like an upgraded G6, a phone that is only a few months old. So what’s new with the LG V30? Well, you’ve got this beautiful glass and metal design that showcases LG’s new 6-inch QHD+ POLED FullVision display. There isn’t much bezel here, so even though this phone has a larger than life screen, it won’t feel that big in the hand. In terms of size, it sits somewhere between the Galaxy S8 and S8+. Outside of the display, you’ve got a Snapdragon 835 processor, dual camera setup with 16MP f/1.6 and 13MP wide-angle f/1.9 shooters, 4GB RAM, 64GB storage (also 128GB in a V30+ model), 3300mAh non-removable battery, USB Type-C port, and Android 7.1.2 out of the box. You can see the full list of specs here. Specs aren’t all, though. The V30 sports Google Assistant and its own voice recognition software that allows you to wake up the phone with a custom command and utilize exclusive Assistant commands. It has a Quad DAC for those HiFi tunes you desire (with MQA support) and pro video tools as well, like a Cine effect and Point Zooming. It impresses in the durability department too, thanks to IP68 water and dust resistance, along with Gorilla Glass 5 and MIL-STD 810G compliance. We took the LG V30 for a lengthy spin, so be sure to watch that clip. 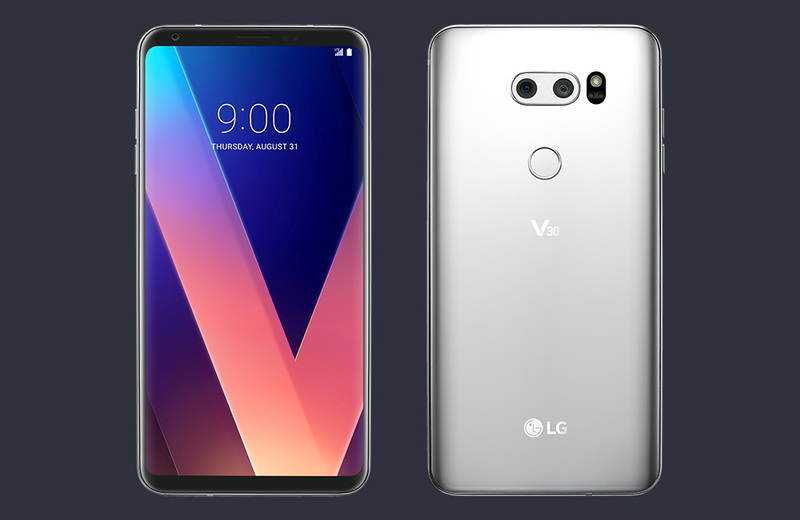 The LG V30 first arrives in South Korea on September 21 and will hit North America and other markets shortly after.